Cyberattacks have now become the greatest threat to every company in the world, causing not only financial losses but also operational disruption. 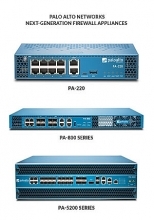 Network security in Vietnam has always been raised at an alarming rate. A series of targeted attacks on the airport system, banks, or thousands of websites recently have been a clear evidence. This not only severely damages in terms of finance, the consequences of network attacks, but also interrupts a series of other important activities of businesses. 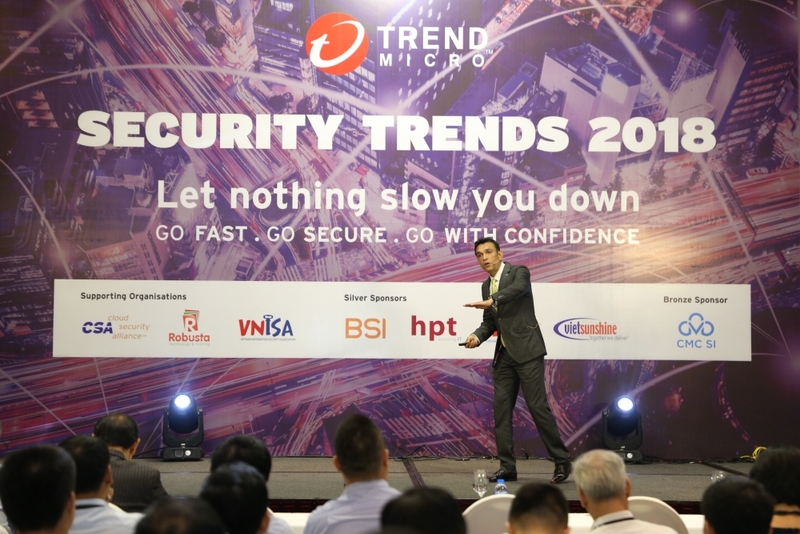 These issues were raised at the event “Security trends 2018 – Let nothing slow you down” held by Trend Micro in Hanoi and Ho Chi Minh City recently. Vietnam is leading Southeast Asian countries in terms of cyber-attacks, with more 86 million e-mail threats detected in the first half of 2018, followed by Singapore with more than 27 million e-mail threats detected, according to Trend Micro, a global provider in cybersecurity solutions. Many targeted attacks, having grown in volume, velocity, and variety, begin at a seemingly benign point of contact: A simple email message disguised to be a spear phishing message designed to give the attacker a nearly permanent inside track to covertly siphon and bankrupt the victim’s information database. Data from Trend Micro’s Smart Protection Network also indicated that Vietnam had more than 1 billion malicious file, email, and URL detections, the highest in Southeast Asia. Consistent with the global trend, majority of threats detected in Vietnam arrive via email, at 94 per cent. This indicates that cybercriminals continue to abuse the most popular form of communication among businesses and organizations. Examples of email-related threats include spam, phishing, and malware arriving as attachments to socially-engineered messages. 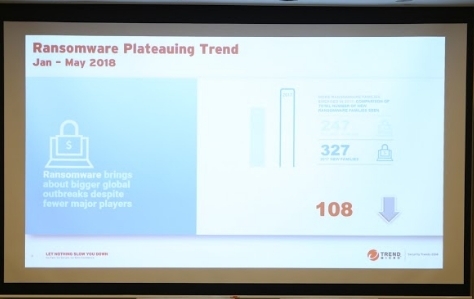 Trend Micro also observed that the most prevalent type malware in Vietnam are ransomware and online banking malware. Vietnam accounts for 8 per cent of the Ransomware attack globally and Top 10 most number of online banking malware. “As businesses in Vietnam gain speed in their digital transformation, we are not surprised that they are fast becoming the key targets for bad actors,” said Ms. Jaruwan Roekphichayayothin, Country Manager, Trend Micro Vietnam. 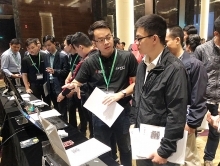 The growing cybersecurity threat in Vietnam calls for a more proactive approach by Vietnam enterprises in dealing with such threats. And the problem is that many businesses are still not equipped with the right tool and a well-thought of cybersecurity strategy in their digital journey. Trend Micro Incorporated, a global provider in cybersecurity solutions, helps to make the world safe for exchanging digital information. 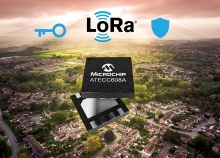 Its innovative solutions for consumers, businesses, and governments provide layered security for data centers, cloud environments, networks, and endpoints.